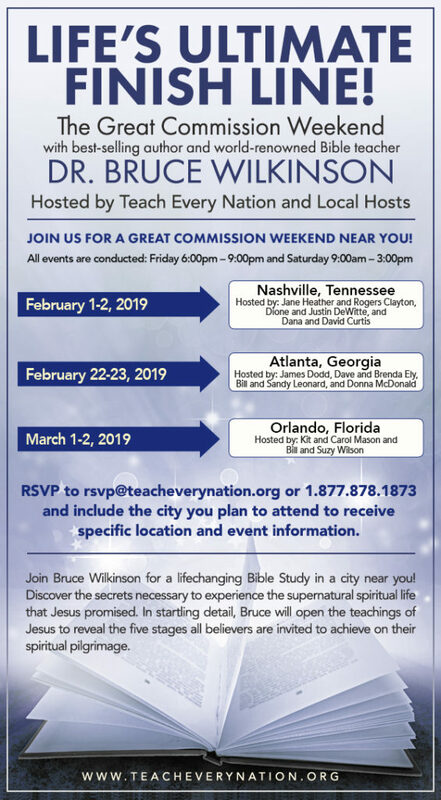 Join Bruce Wilkinson for a Bible Study near you! Do you want to impact the global growth of Christianity? © Teach Every Nation 2019. All rights reserved.